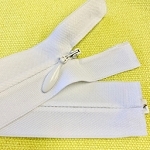 Invisible is the type of zipper, Separating is the function. 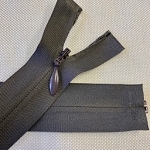 Separating is also called open or open bottom or open ended. 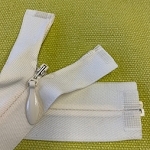 The bottom is finished with a box & pin to allow it to come apart. 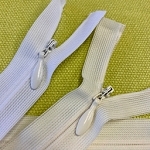 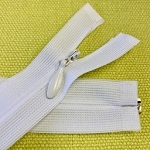 These zippers have a movable box to facilitate the installation process. 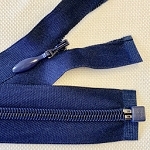 A Separating INVISIBLE zipper is very rare. 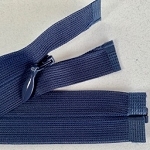 I stock them in a #4 or 4mm medium weight invisible on mesh or knitted tape for use in bike jerseys, blouses, evening apparel, and as a #6 or 6mm on heavy twill tape for use in costumes and jackets.